Manchester’s ageing programme is called Age Friendly Manchester (AFM) and was launched in 2003 (initially under the name Valuing Older People – VOP). 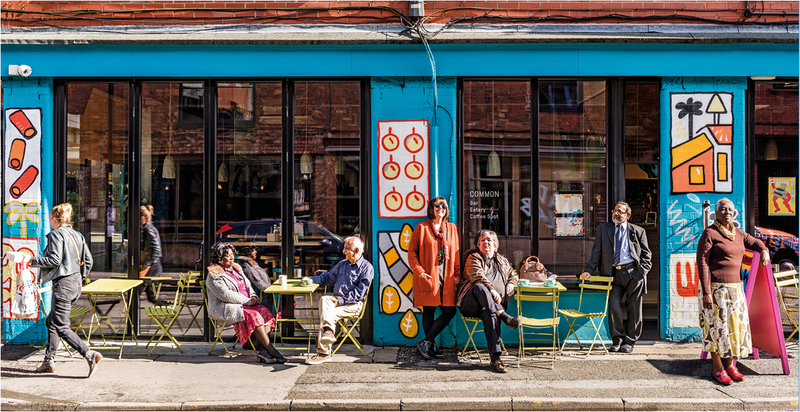 AFM bases its work around the city’s ageing strategy Manchester: A Great Place To Grow Older which was launched in 2009. The strategy was updated and relaunched in 2017. The city’s ambition is that as its citizens age they remain independent, able to maintain good health, strong social and cultural connections, and have access to healthy, good quality employment. We believe it is paramount that older people have agency and a voice in shaping the life of the city. Just as importantly we need to challenge the inequalities people experience in later life, particularly around ageism. Our programme is based upon effective partnerships across the public, voluntary and private sectors; a focus on neighbourhood working; and our special relationship with the city’s universities. We put engagement with older people, their experience and their influence, at the heart of our work. Manchester is the United Kingdom’s second largest metropolitan area and the economic centre of the North West England Region. Unlike many similar sized UK cities, Manchester has a growing younger population, which is boosted by the city’s large student population and its appeal to younger professionals as a place to live and work. This has resulted in the city having a relatively smaller older population which is, however, more isolated and experiences higher levels of inequality. Social and economic circumstances have a great impact on how people experience older age and upon levels of inequality. 36% of the Manchester’s older residents are income deprived, while 59% of older people live in our most deprived neighbourhoods. (1) Age-friendly neighbourhoods – creating places where people can age well in the neighbourhoods of their choice, with access to the right services, housing, information and opportunities – social, cultural or economic. the Take A Seat campaign, which asks local businesses to make seating, toilets and drinking water available to those who may need them. By being able to rest when they need to and access facilities, older people feel more able to leave their homes, socialise, interact economically and play a more active part in their local communities. (2) Age-friendly services – developing services which are age-friendly and age-aware, which value and retain their older workers, and where commissioning includes age friendliness in its specification. and working on the Council’s commitment to become an age friendly employer. (3) Promoting age equality – addressing the negative images and portrayal of ageing that older people tell us negatively impacts on their confidence, self-esteem and mental wellbeing. developing an Age Friendly Comms standard which will set out how organisations should talk to and talk about older people. Manchester’s Older People’s Board, which has been meeting every 8 weeks since 2004. The 15 older board members help shape the strategic direction of the programme and influence the age friendliness of wider Council policy. The Manchester Age Friendly Assembly, which is open to older people and representatives of older people’s groups. Bringing together around 100 people the Assembly acts as a consultative body and sounding board. Culture Champions, a network of over 100 older volunteers whose aim is to increase the cultural participation of older people in the city and for the city’s cultural life to be more age-friendly. Age Friendly Culture Working Group, which brings together over 30 of the city’s cultural organisations to make culture more accessible and relevant to older people.